RAID is the world's fastest growing diver training agency with both full service and satellite regional offices, dive stores and instructors waiting to provide diver services to you across the globe. 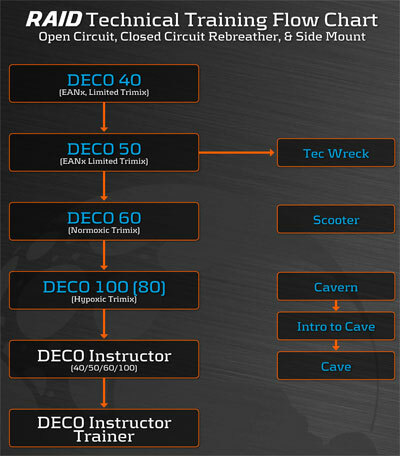 RAID is also the first diver training agency to offer a complete range of online diver academic programs from beginner to instructor trainer. RAID Technical programmes are more challenging, developing the diver to dive beyond recreational limits and incur decompression obligations. Building on the life support training already established in the strong RAID foundation programmes they take the diver to the next level based on time in the water and experience at depth. The risks are greater and the benefits are deeper !